Highlights of this 2019 Nissan Kicks S include: Back-Up Camera, iPod/MP3 Input, Keyless Start, Bluetooth. EPA 36 MPG Hwy/31 MPG City! 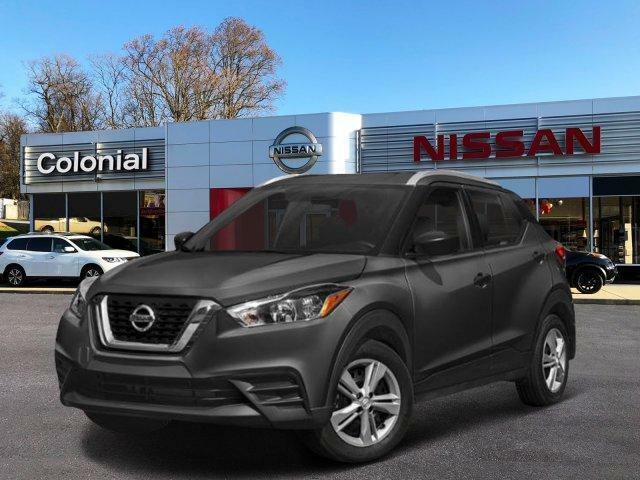 Highlights of this 2019 Nissan Kicks S include: FUEL EFFICIENT 36 MPG Hwy/31 MPG City! iPod/MP3 Input, Back-Up Camera, Keyless Start, Bluetooth. Highlights of this 2018 Nissan Kicks SV include: FUEL EFFICIENT 36 MPG Hwy/31 MPG City! Alloy Wheels, Back-Up Camera, Satellite Radio, iPod/MP3 Input, Bluetooth. Edmunds.com explains Compared to much of the competition, the Kicks has a lower price, a larger cargo space and higher fuel economy.. Highlights of this 2018 Nissan Kicks SV include: Bluetooth, [E09] SPECIAL PAINT - ASPEN WHITE, Aluminum Wheels, Back-Up Camera, iPod/MP3 Input, Satellite Radio. EPA 36 MPG Hwy/31 MPG City! Compared to much of the competition, the Kicks has a lower price, a larger cargo space and higher fuel economy. -Edmunds.com. Highlights of this 2019 Nissan Kicks SV include: EPA 36 MPG Hwy/31 MPG City! Remote Engine Start, Bluetooth, Back-Up Camera, [W10] WHEELS: 17 BLACK ALLOY, iPod/MP3 Input, Satellite Radio. Highlights of this 2019 Nissan Kicks SV include: FUEL EFFICIENT 36 MPG Hwy/31 MPG City! Remote Engine Start, [W10] WHEELS: 17 BLACK ALLOY, Back-Up Camera, Satellite Radio, Bluetooth, iPod/MP3 Input. Highlights of this 2018 Nissan Kicks SR include: Heated Seats, iPod/MP3 Input, Bluetooth, [N94] INTERIOR ELECTRONICS PACKAGE, [S93] EXTERIOR ELECTRONICS PACKAGE, [B93] EXTERIOR PACKAGE, [P01] PREMIUM PACKAGE, Satellite Radio, Back-Up Camera. FUEL EFFICIENT 36 MPG Hwy/31 MPG City! PREMIUM PACKAGE Bose Personal Plus Audio System, amplifier, 8 speakers including driver headrest, Security System, Heated Front Seats, INTERIOR ELECTRONICS PACKAGE Frameless Auto-Dimming Rearview Mirror, Universal Remote, Interior Ambient Lighting, 20-color, Door Pocket Light, EXTERIOR ELECTRONICS PACKAGE External Ground Lighting, Rear Sonar, EXTERIOR PACKAGE Crossbars, Exhaust Finisher, Rear Bumper Protector.